Everyone needs a breather from the usual routine of corporate life. With Tastesutra, you can have an incredibly creative and interactive Corporate Team Building experience. Attain your business objectives and a perfect team with our exciting Corporate Cooking Experiences in Delhi NCR. 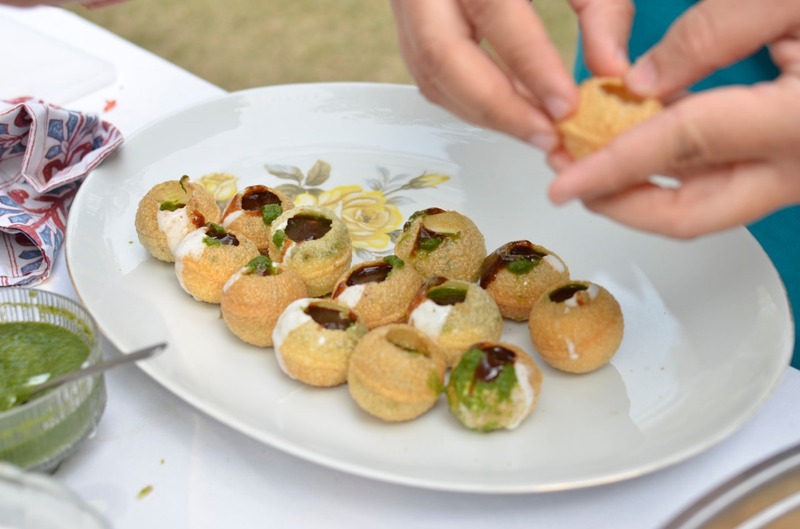 We provide a perfect culmination of hands on cooking experience with various games, challenges and activities to make team building extremely involving and fun. What better way to do some team bonding sessions while cooking? 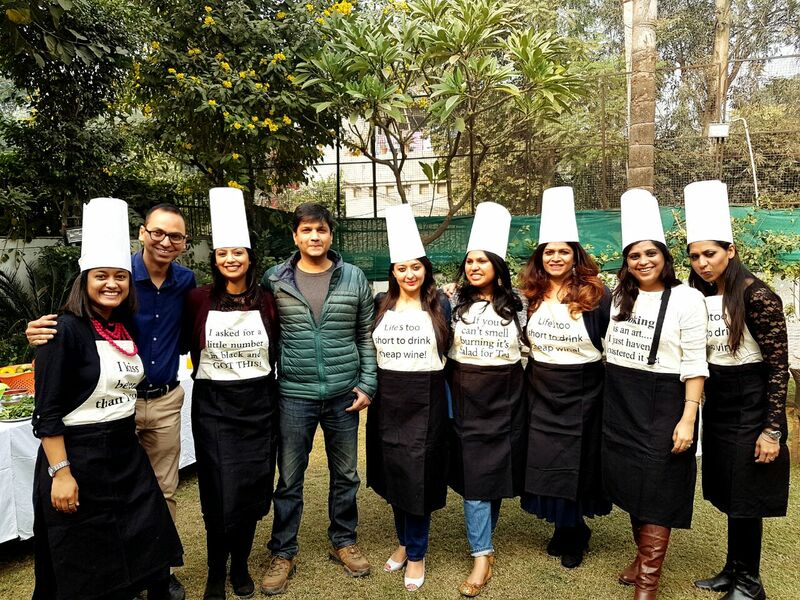 Book a Corporate Cooking Experience now to cherish unique moments of happiness & yore with teammates. 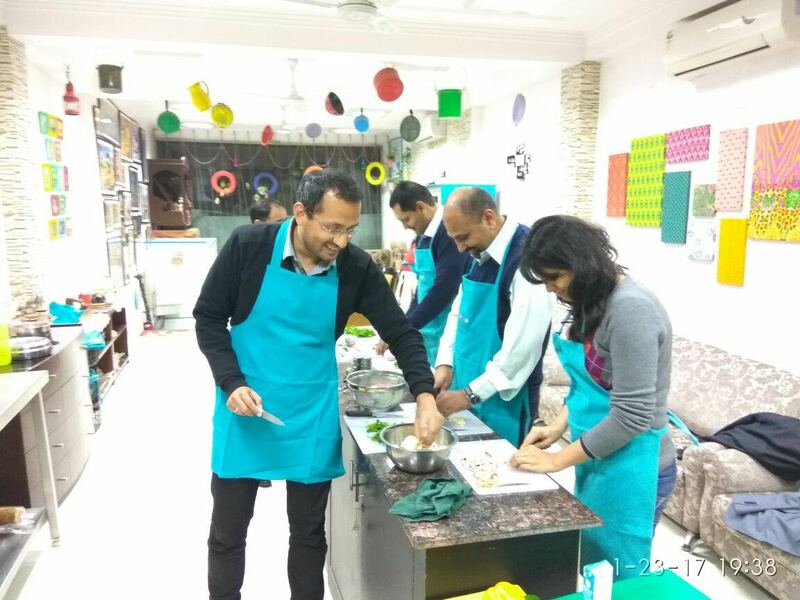 Break the monotony and find a new way to bond with colleagues at your workplace with our hands on Cooking Experience especially crafted for the corporates. We give a grand twist to team building trainings either at our one of its kind cooking studio in Delhi NCR or an Outdoor Location. Experience a unique bonding afternoon with your colleagues while you cook and cherish some amazing food at Tastesutra. 5) Cook, Bond, Eat – stress busting at its best!